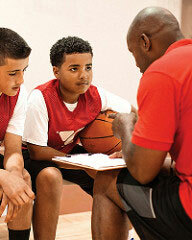 Studies show that organized sports help kids develop and improve cognitive skills. More physical activity is associated with higher academic achievement and enhanced classroom behavior. According to the U.S. Department of Education, high school athletes are more likely than non-athletes to attend college and earn degrees. Studies by organizations like the Sports & Fitness Industry Association show that fewer kids than ever are not participating in sports. Nearly 20 percent of kids were inactive in 2014. By some estimates, as many as 70 percent of youth sports participants drop out before high school – team sport participation peaks at age 11. The YMCA of the Greater Twin Cities, a leading nonprofit dedicated to strengthening communities through youth development, healthy living and social responsibility, is committed to giving all youth the opportunity to thrive in sports programs that build character and teach life lessons, both on and off the court or field. Studies show that youth in sports are more likely to succeed in school and develop important social-emotional skills like goal-setting, self-esteem and leadership. Today’s market has multiple options for kids and teens to participate in their favorite activities. The Y’s programs focus on giving everyone, regardless of skill level, a safe place to play, grow and thrive. At the Y, sports are an opportunity to improve their skills in an environment that emphasizes relationships and values over trophies and accolades. Everyone plays – everyone is assigned to a team and has opportunity for equal playing time in games, keeping players active and helping them develop skills as part of a team. Character development – participants work together as a team while developing skills like communication, trust, respect and good sportsmanship. The Y’s programs emphasize its core values of caring, honesty, respect and responsibility. Positive competition – players learn how to set individual and team goals, but victory is kept in perspective and does not always mean the numbers on the scoreboard. Family involvement – parents and other family members are encouraged to get involved and volunteer during practice and competition, creating an environment conducive to open communication and positive role modeling. Sports for all – the Y’s programs welcome all participants regardless of race, gender, age or ability, and they teach players to respect and appreciate all their teammates and competitors. Sports for fun – participants will enjoy learning and mastering skills, participating with friends, and competing. See how the Y’s youth sports model prepares all kids to thrive by building character and emphasizing teamwork – YMCA Youth Sports. Discover how participating in Y sports has taught Brooklyn lessons both on and off the court – Brooklyn’s Story. Learn how playing basketball at the Y helped Cooper make friends and gain confidence after his family moved to a new city – Cooper’s Story. Currently the Y is focusing on five sports: basketball, flag football, track and field, soccer and swimming. The Y’s program offerings include skill classes, in-house leagues, all Y leagues, camps, clinics and sports training to meet the needs of all players at every skill level. The Y also offers adaptive sports programs, fostering growth and independence with adapted physical activity programs that, like all sports programs, provide positive and inclusive recreational experiences, build social skills and help develop a healthy mind, body and spirit.